AliDropship ver 1.0 - Beta Testers Needed! | AliExpress drop shipping forum – expert drop shipping community! AliDropship ver 1.0 - Beta Testers Needed! 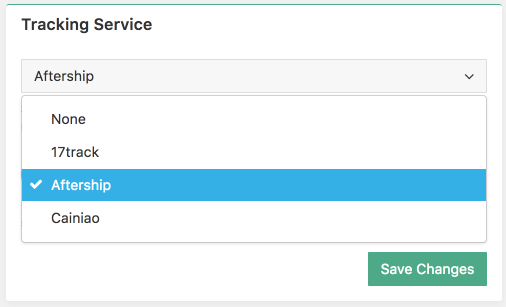 We are glad to present you a beta version of a new Alidropship original plugin – version 1.0 (finally!). There are some serious changes made to enhance the functionality and make the plugin work more smoothly, especially by improving such vital features like Importing and Updating products. However, it should be noted that it is only a beta version for this moment and we would like to ask for your help and take part in beta testing. Please contact me directly on Skype: yarosnevsky and provide your current AliDropship license key. In return I will send you the plugin and license. 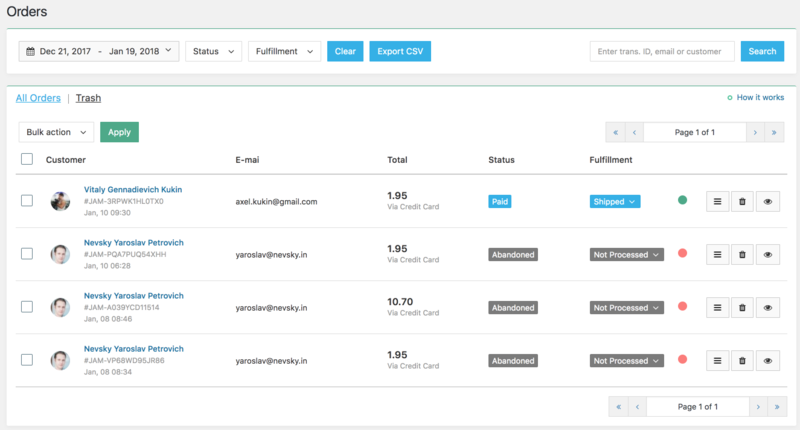 New features of AliDropship plugin 1.0. Orders section was divided into Orders and Tracking. Orders: we improved usability of this section by providing more details in one place with easy navigation. All Order statuses were divided into Billing statuses (Paid, Cancelled, Abandoned, Failed) and Fulfillment statuses (Not processed, Processed, Shipped, Completed). A special indicator (green or red) was added to show if all tracking data are collected for all items in the order. There is an activity list (logs) for each order now, so you can observe all events starting from purchase to 100% completion. 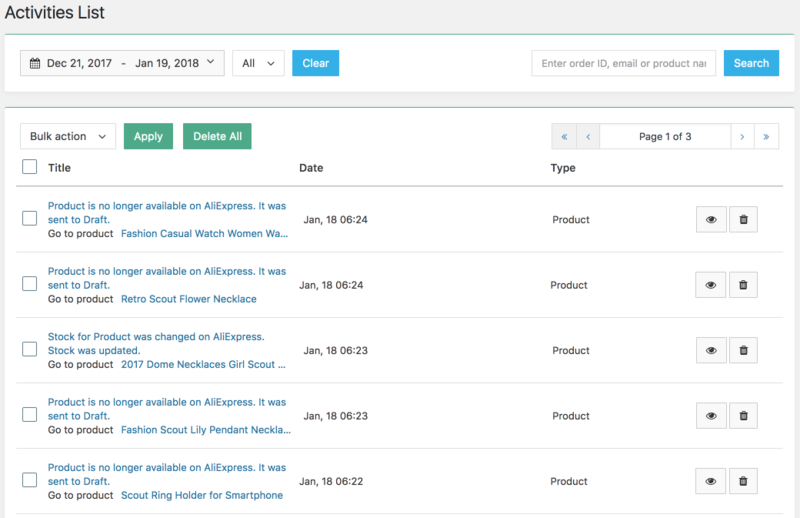 Tracking: this is a completely new section where you can find tracking data for products purchased from AliExpress. You can easily monitor and update all your Tracking IDs in bulk or one by one using ‘Sync’ button. Besides, you can see not only the tracking data but also an estimated delivery time for each item. With an updated Activities List section now you can get a more detailed information about activities on your store with direct links to orders and products. Updates: there are some important changes here. 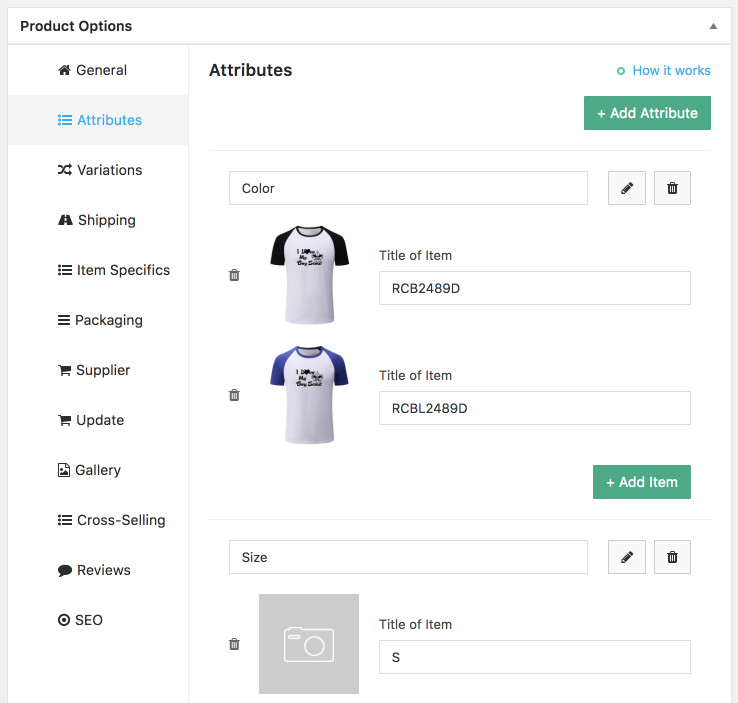 When a product is no longer available on AliExpress or is out of stock, you can not only ‘send it to draft’ or ‘do nothing’ as before, but set quantity to zero as well. ‘Send to draft/restore’ - if your product went to draft but some time later it becomes available again, AliDropship plugin will republish it. ‘Set quantity to zero’ – if your product is out of stock but some time later it becomes available again, AliDropship plugin will update its quantity. 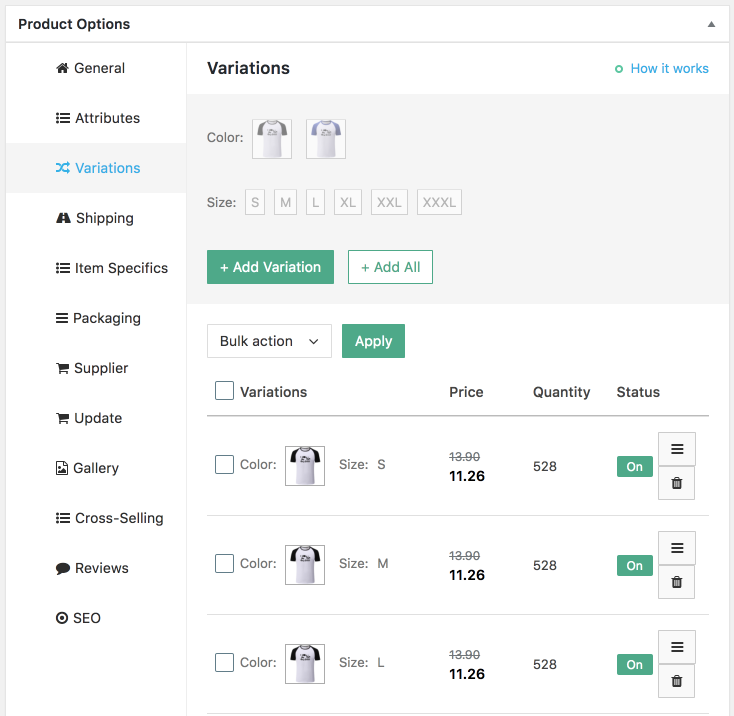 ‘Set quantity to zero’ – if a product’s variation is out of stock but some time later it becomes available again, AliDropship plugin will update its quantity. ‘Disable/Enable’ – if a product’s variation is no longer available on AliExpress it will be disabled during update. When it is available on AliExpress again it will be activated. 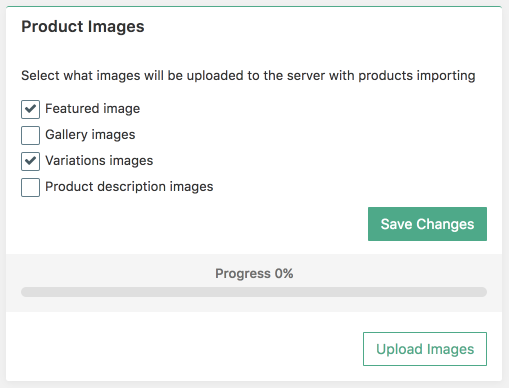 Product Images: now you can select what product images you want to save on your server: featured image, gallery images, variations images, product description images (before you had the option to upload only ALL product images at once to your server). Tracking service: new tracking services were added. 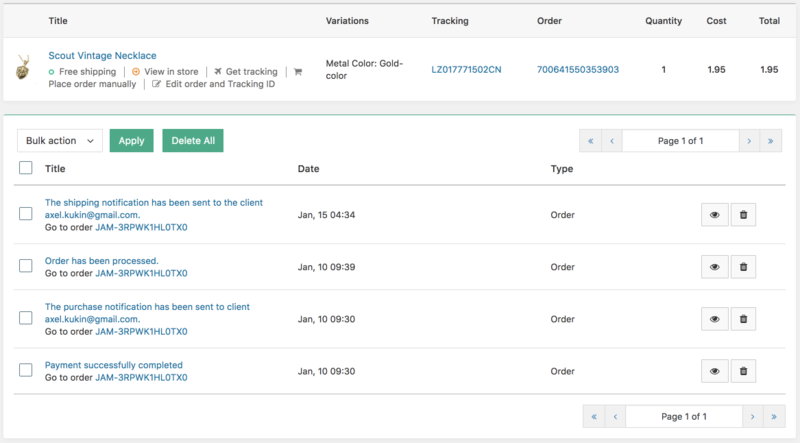 Now you can select 17Track, Aftership or Cainiao where your clients will be redirected to track their orders from ‘Order shipped’ notification emails. 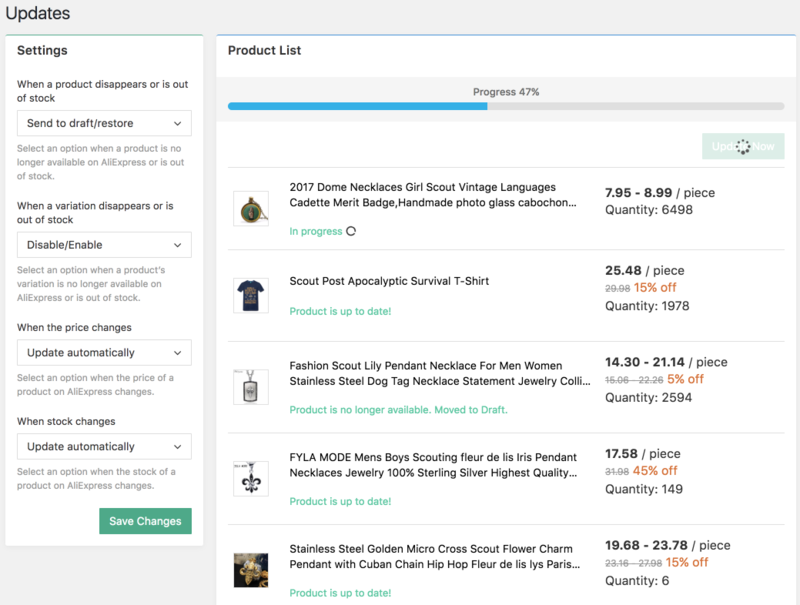 Marketing section that included SEO, Discounts and Abandoned cart is removed. SEO was moved to Settings section, Discounts section was renamed to Coupons and moved to Settings. Abandoned cart functionality was improved and now is offered as a FREE add-on. Pricing formula: it became more flexible. 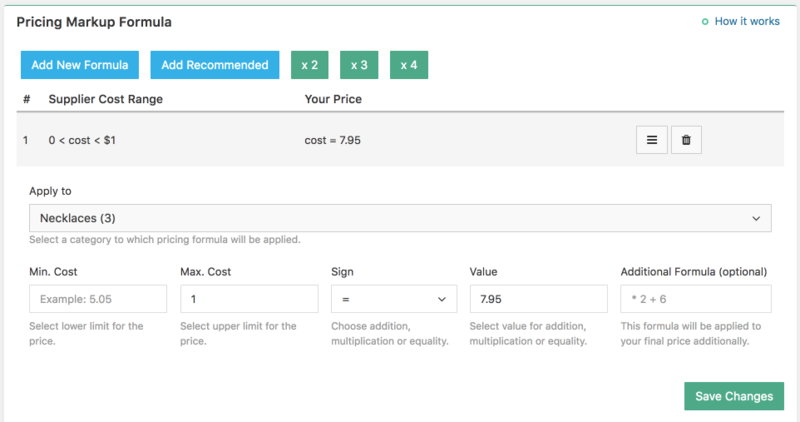 Now you can select a particular product’s category to which your formula will be applied or use an additional formula to the basic one to cover your taxes/epacket or other expenses. Coupons: you can set a minimum order amount for purchase to get a discount. 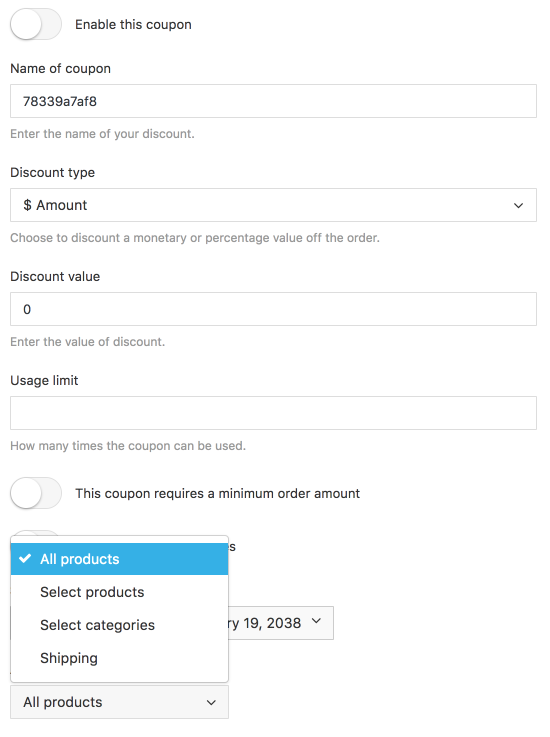 Besides now you can apply a coupon not only to selected products as before but to Shipping or Categories as well. There are global changes in Product Options. We changed some sections completely. For example attributes and variations - now it is more convenient and easier to add or edit them. After beta-testing the AliDropship plugin ver. 1.0 will be available for purchase. There will be no possibility to update the plugin from the previous version. You will have to remove the old version and install a new one, but it will not affect your settings. The new plugin will be FREE for all AliDropship users. Thanks, where can be downloaded? it is not available for downloading now, we need to test it first with beta testers. Great news and nice improvements! Looking forward to use it once the beta is done Especially the product updates are very useful. Also the tracking updates with better sites like cainiao which is best mostly. Are there also coming any updates for the Woocommerce version? looks nice. I'm always in for help if you guys still need. once we are done with the original plugin we will move everything to the Woo. Woo version needs such improvements urgently. Of course we need you, Elfrost! willing to help if you need me...already skype you. I would like to participate in beta test. I pinged you in skype also. Please direct me. Do we need to purchase this version and not be updated for free while we paid for the old version? We are starting beta-testing tomorrow, still need some more beta-testers to join.